The Indoor Air Quality (IAQ) of your Home or Office can be improved and controlled with regular cleaning, proper filtration and proper maintenance. It goes with out saying in some cases you can clean the inside of your home or building day and night and you will still see dust on counter tops and furniture, it's everywhere. That dust you are seeing is coming from the one place you can't clean that's the Heating and Air Conditioning system or High Velocity Air Condition (HVAC) system, you have to think of the ductwork as being a room in your House or Building that you have walk through, cooked in, slept in, played in but never have been able to clean for yourself. 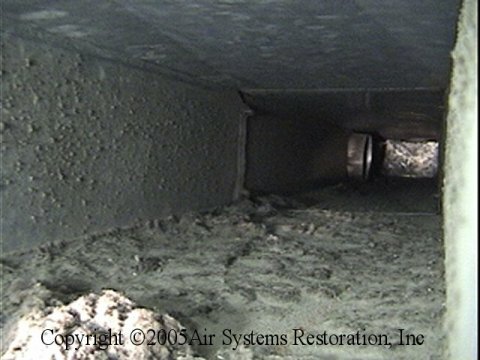 Just about all of the problems related to Heavy Dust accumulation can be resolved with proper cleaning and restoration the system. 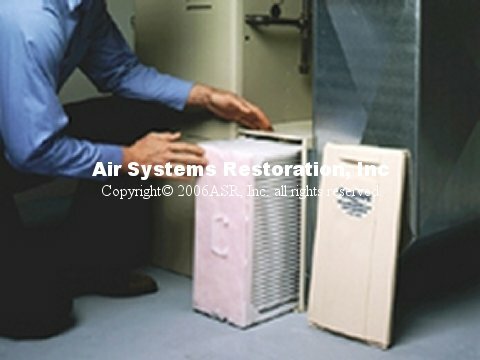 After cleaning comes filtration, filtration of the air is very important in maintaining good IAQ. The average through away filter is only about 7% efficient at stopping Indoor Air Contaminates (IAC) from entering the HVAC system. 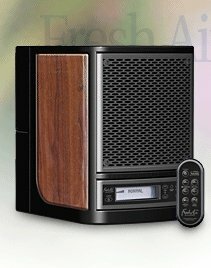 Pleated filters are more efficient at stopping Dust, Animals Hair, Pollen and other IAC. The use of a Central vacuum systems removes the dust and debris from your indoor environment and expels it outside of the living space. The use of supplemental equipment is acceptable and in some cases highly advisable and will help to improve and control the IAQ of a home or building. Ultra-violet lights, whole house air cleaners and air purifiers should be part of a game plan for fighting back and providing good clean air for you and your family, friends and coworkers. Attic Tent The Attic Tent is the ultimate Attic access cover it insulates and seals the Attic pull down stair or Attic door way and comes in a few different sizes to fit most access doors and pull down stairs. This product creates an air tight barrier and fits standard folding attic stair and door sizes! The 360 degree Zipper allows safe and easy access with a strong round access opening! The Attic Tent keeps out insulation and dust particles, which improves indoor air quality. 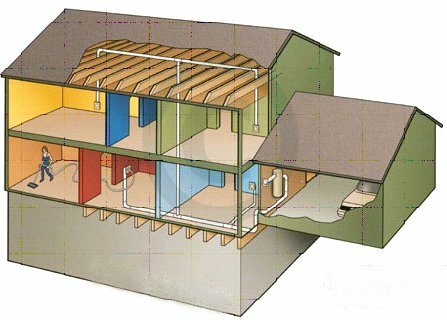 The Attic Tent is unique because it deals with one of the main problems affecting the performance and efficiency of an HVAC system and that is "INFILTRATION" or air loss. The Attic Tent works with the HVAC system to optimize performance this product has been found to reduce the load on a HVAC system by a half ton of cooling loss through this area. The Attic Tent should have the same effect on Energy savings and indoor air quality during both hot and cold seasons. 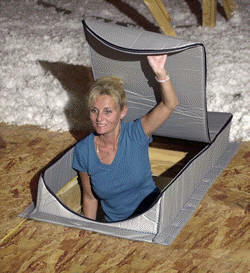 The Attic Tent stops heat gain from the attic and helps to keep cold air out of your House. The Attic Tent stops dust and pests from the attic and helps keep your home clean. The Attic Tent lowers your cost for heating and cooling your Home. 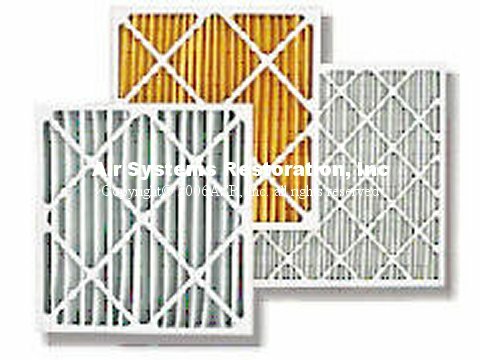 Good quality HVAC system filters have similar features. They are used to filter all of the air traveling through the HVAC system, they are thick enough so that you can not see through them and they usually are pleated back and forth in the frame in order to increase rigidity and surface area to improve air flow. Eureka Central Vacuum Systems are built-in cleaning appliances that let you clean your home and improve indoor air quality at the same time. Central Vacuums are quite powerful and give you a thorough whole-house clean. They also remove 100% of contacted dirt, dust mites, pollen, dander and other allergens vacuumed from living areas, making them ideal for relieving allergies. Use the Hyperlink below to open a new page or window with information about the products. Killing Dust mite's can reduce the level of allergens in the environment this will reduce allergy problems. 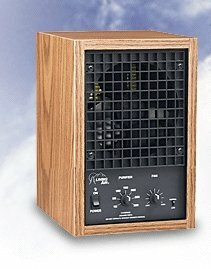 This product is safe for use indoors around children and those with breathing problems. This product is affordable and can be used on carpets and cloth furniture.